Quite apart from a string of amazing accolades, her own catering company and a cookbook coming out next month, the proof that Joy knows what she’s talking about when it comes to baking is really in the pudding. Her puddings to be more precise. If you’re not already familiar with her blog, I suggest you head over there now. We’re talking brown butter banana bread, double-dipped doughnuts, chewy molasses chocolate chip cookies and more incredible cakes and bakes than most people could make or eat in a lifetime. Although I’d be willing to take up the challenge on that one . . .
Where were we? Ah yes, butter. A baker’s best friend. An integral part of the alchemy of baking and something without which we would struggle to achieve the perfect flaky pastry, the silkiest of sauces or the depth of flavour we expect from a really good bake. Butter can be creamed and caramelized, gently melted or brought almost to the edge of burning in a nutty brown butter, whipped into desserts and frostings or simply spread on bread. I’m not saying that you should eat butter every day (despite what the contents of this blog might suggest to the contrary), but there are often occasions when butter – or baked goods involving its use – are quite simply the best (if not the only) solution. The pudding I’m posting today can be made in a pastry case, but I prefer the combination of crushed biscuits and butter which creates a lovely crunchy, buttery biscuit base – something I now find impossible to make without thinking of 2011’s surprise YouTube sensation, Masterchef Synaesthesia. For my international readers (or any of you Brits who have been living in a pop culture-free cave over the last six months) this is Swede Mason’s Masterchef mash-up, a very silly clip of baking backed with beats that has clocked up an incredible 4 million YouTube hits to date and was their sixth most popular video of 2011. If you don’t watch Masterchef you probably won’t get it, but if you do, click the link above and have a little look. It makes me giggle just thinking about it. Anyway, I digress. 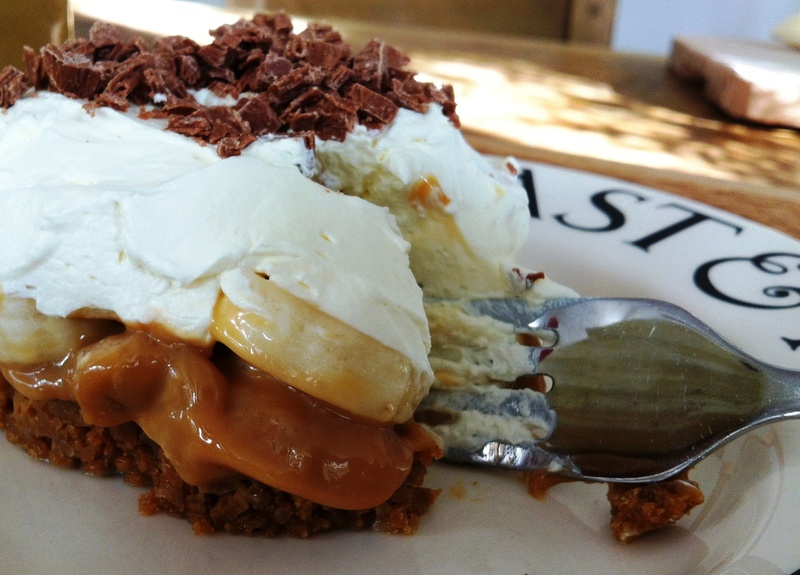 The recipe I’m posting today is a twist on the classic banoffee pie. 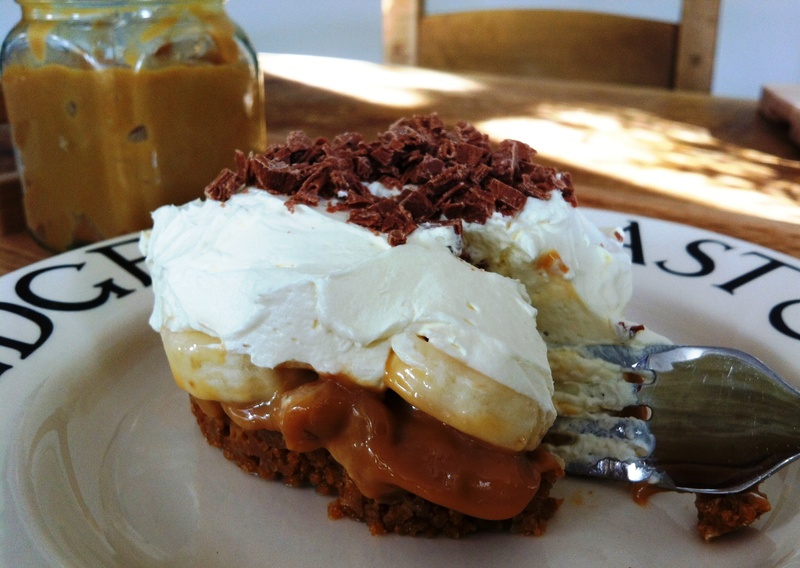 That’s not to say it’s a replacement – banoffee pie is far too fabulous a dish to ever be replaced – but if you’re looking to try something a little bit different, I think it’s a lovely variation. Asian flavours provide inspiration, with a fiery kick of ginger in the base and that classic combination of bananas and coconut on the top. I’d never made whipped coconut cream until I discovered a recipe making use of it on this beautiful blog, but now I can’t get enough of the stuff. I’ve added a little double cream to the mix as I found the coconut cream didn’t quite hold the consistency I wanted on its own, but it still tastes seriously good. I’d originally planned to infuse my dulce de leche with a little chilli to really bring the thing to life, but after tasting some of the buttery biscuit crumbs I decide that it would be one step too far. The ginger is pretty fiery on its own but if you fancy giving it a go I’d love to hear how you get on. 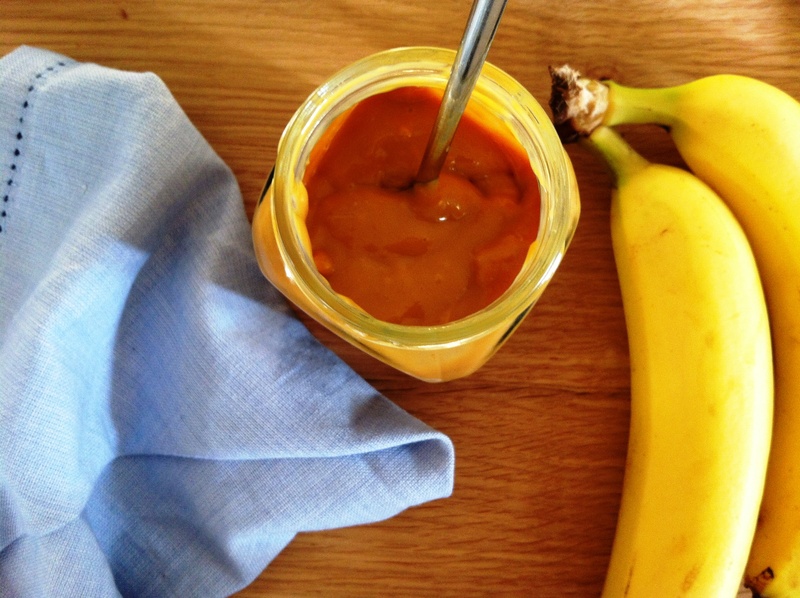 Who could resist a thick shiny slick of homemade dulce de leche? The recipe below serves six but if you have fewer mouths to feed it might make sense to halve the quantities as banoffee pie is best eaten the day it’s been made. And if the idea of ginger and coconut is just one little step too far, simply swap in Digestive biscuits in place of the Ginger Nuts and up the quantity of double cream to 150ml and you’ve got a classic banoffee pie. It’s not going to solve world peace, but this lovely combination of butter, biscuit, caramel and cream is a pretty good place to start. Blitz the biscuits in a blender or crush in a small plastic bag with a rolling pin. Line six metal dessert rings with baking parchment then place them on a tray (if you don’t have dessert rings you could make these in little ramekins, glasses or even one big dish). Melt the butter until it starts to bubble and brown – this gives the base a lovely nutty flavour but be careful not to burn it. Mix the melted butter and biscuit crumbs together and divide equally between your rings, pressing down into the base and sides. Pop in the fridge to firm, about 20 minutes. Once your bases are firm, divide the dulce de leche between the rings – a good couple of big dollops each. Slice the banana and toss in lemon juice. This works nicely with the kick of ginger in the biscuit base and also stops the bananas from discolouring. Lay the banana slices on top of the dulce de leche and return to the fridge while you whip your cream. Place the cream and coconut milk in a large clean bowl and whip until soft peaks form. Then whip it a tiny bit more and you should be done – you don’t want the cream to run out of your pies, but be careful not to over-whip as the texture isn’t as nice. Remove your pie bases from the fridge and spoon or pipe the cream over the top. When ready to eat, carefully lift off the dessert ring and remove your paper lining. Decorate with chocolate shavings or a sprinkle of cinnamon and serve. I have tried this recipe but found that the cream & coconut milk would not whip up into soft peaks!…Should I have used coconut cream/ milk?? Great idea though! ohhhh my god this looks so good! I am kicking myself right now though for never having tried this before… how have I missed out so long from this!? I just might have to try making it myself. Love the asian-inspired take this recipe has. I love the idea of using ginger biscuits – I always use them to make cheesecakes rather than plain biscuits. And that coconut cream is inspired too. I might just have a dessert of crushed ginger biscuits topped with coconut cream! 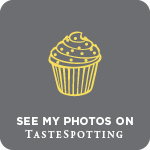 Ruthie – hehe you’ve got to love the Masterchef mashups – they make me giggle every time. Skye – thank you. Classic banoffee pie is one of my all time favourite desserts but it’s always good to have more than one recipe up your sleeve! Betty – if my recipes make people happy then I consider the job done 🙂 so glad you like it. Amy – thanks! I figured if bananas in coconut cream work, why not try this? Kathryn – that sounds perfect. If I can’t be bothered to make proper banoffee pie I often eat Greek yoghurt with chopped banana, crushed biscuits and a drizzle of maple syrup or dollop of dulce de leche. Frugal Feeding – haha I think I could probably do justice to three servings too! 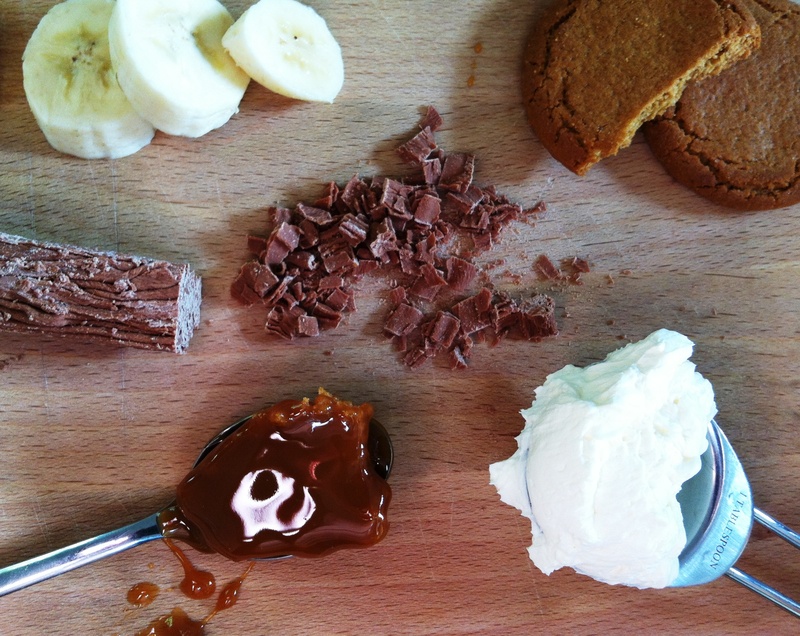 I send this recipe to my friend who loves banoffee pies! Looks great! OMG that youtube clip is HILARIOUS!!! My MIL would love this as she is fan of Banoffi and also loves coconut. Nice combo. Really interesting combination of flavours – I love the hot ginger with cool coconut and all that sweetness to round it off. Lovely. I don’t know what to say. That is some next level pioneer pie happening there. I. Am. Without. Words. Regula – ooh, I hope they like it! Phil – you got it in one – fiery ginger and cool coconut. Yum. Anna – glad you like it! I had never heard of banoffee pie until a few years ago (well maybe not so few anymore) when and English friend brought one to a potluck. I like this exotic twist. That should read Fave Puds!!! Just gorgeous. I’m helpless infront of a great banoffee (and love ginger nuts more than most people). In my opinion, the best banoffee in the world comes from Sopra in Sydney. But this looks like it would give it a serious run for its money. Oh my this looks amazing!!!! Look at that delicious dulce de leche!!!! Love Joy the Baker and this looks absolutely amazing!! I love banoffee pie, I’ve only tried it for the first time last year and woa, what an amazingly rich dessert! And the bananas, yum! I’ll have to definitely try this version as soon as my new year’s resolutions allows me to! 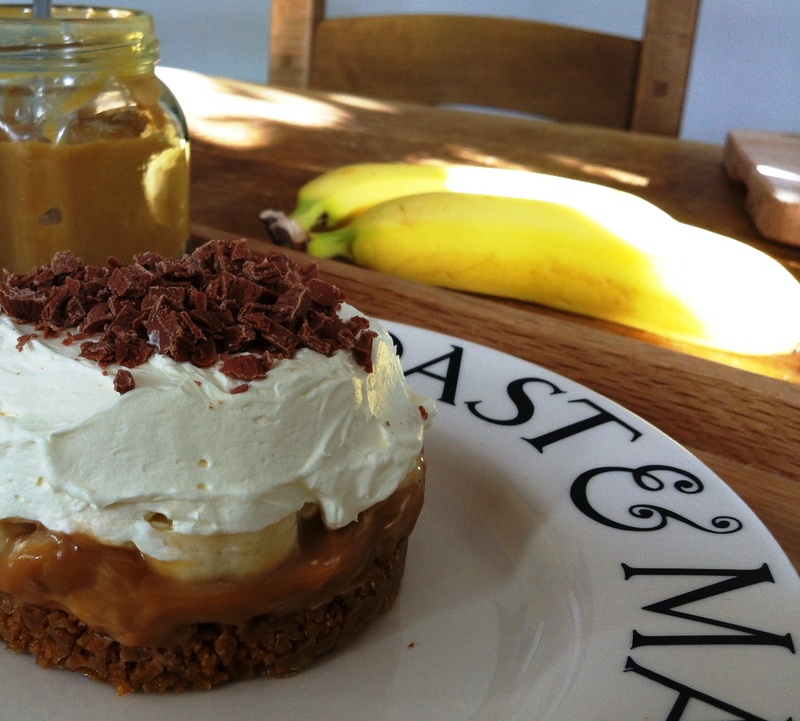 I actually made a banoffee pie when I was 15. Saw a British chef on PBS make it…copied the recipe at the end into my spiral recipe notebook, and it turned out awesome, albeit a little runny. No idea why I haven’t made one since, but your version has inspired me! The ginger addition and coconut whipped cream is making me crave it like crazy! Nuts About Food – I suppose being British I’ve always taken banoffee pie for granted…can’t believe you lived without it in your life for so long! Katherine – there is absolutely nothing not to love about Joy the Baker! Lisa – you should definitely make it again! What a fantastic pudding with lovely flavours. Think I’d have been inclined to try the chilli too – although ginger and chilli are both hot, they are fiery in different ways. I was surprised to find how well they complement each other well. Anyone who loves butter gets my vote, so I’d better investigate Joy the Baker’s blog. Despite having heard plenty about her blog over the last year or so, I haven’t managed to visit yet. This looks sooooo good. I love the idea of the whipped coconut cream too. I’ve made a coconut caramel before although it wasn’t thick enough to use in place of the dulce de leche. The flavour changes you’ve made sound amazing. Choclette – if you do try a chilli version let me know how you get on!